I would mostly like to make a gingerbread house, or a gingerbread man or something like that. I love making the roof and putting icing on it.In my opinion,the roof is the best part. 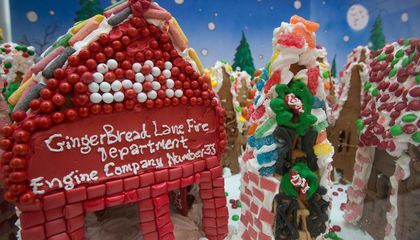 I think it's so cool that he puts so time and effort in Gingerbread Lane! I can't believe that there was 682 pounds of homemade dough. That's impressive! A life like statue of my Mother. She is a strong, sweet, sensitive, beautiful, protective, and smart person. My Mom is my role model. I would make a gingerbread man and a village. If i had as much as Jon Lovitch did. I would probably do the same thing he did. But for everyone and maybe raise money off of it for a good cause. I think this article is pretty neat! I think it’s a good idea to have a sign language Starbucks because not everyone can speak and so I think we need more then one sign language Starbucks. I think it was very cool for someone to spend that money to make a lifetime memory about Christmas. I enjoyed reading about it! I enjoyed this article because it involved sugar. I was thinking "OMG what is this madness!!!!!!!!" Then I calmed down. Then I went crazy. 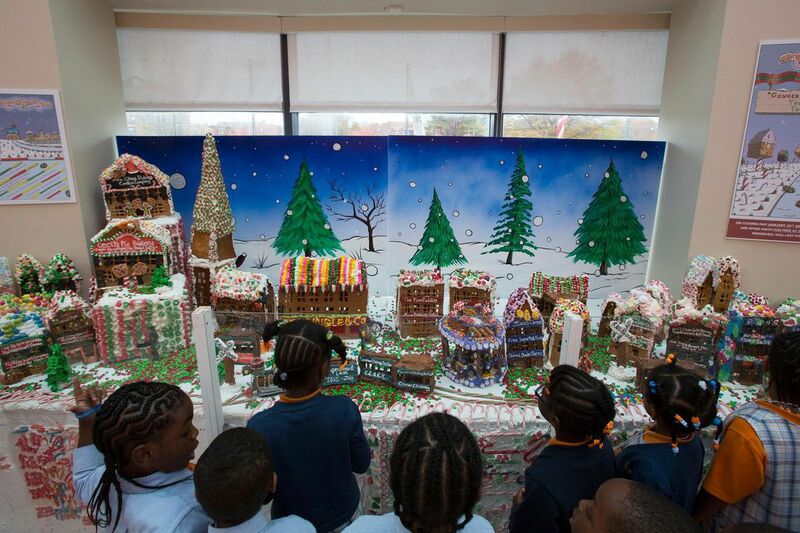 Who would ever giveaway a ginger bread house? And the thing i would like to make is a ginger bread CASTLE wouldn't that be cool?